We have learned that you always search for a safety and reliable place to deposit your money with an expected growth for some specific purposes in the future, including an appropriate interest rate. Your best choice is to open a Fixed Deposit Account in ACLEDA Bank Lao. 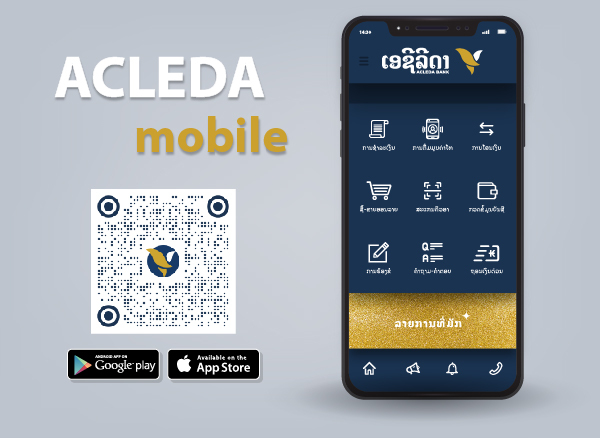 With an ACLEDA Bank Lao's Fixed Deposit Account, you will receive an attractive interest rate that you can deposit in Lao Kip, US Dollar, and Thai Baht. You also have two choices in receiving your interest, receiving it every month or at the end of the term. Hi-Income Fixed Deposit is a deposit that pays interest monthly into your Savings Account or Current Account while the principal is payable at maturity. Note: The rates are quoted for indication purpose only and subject to variation. Please contact our branch for confirmation.